Wildlife killing contests are legally, morally and scientifically wrong. Scientists, conservationists, hunters, and farmers, know that indiscriminate killing is ineffective in controlling livestock losses because only some, often few, individual predators participate in depredation. Killing contests are not a reliable method of regulating deer populations either. There is zero scientific justification for it. Deer populations are much more influenced by food supply and climate conditions than any natural predator outside of man. These contests do just the opposite of the intention, increasing populations and increasing depredation on livestock. Killing contests devalue native wildlife and glorify violence while disrupting natural processes. They even encourage dog fighting by pitting hunting dogs against wild wolves during these events. These events give ethical hunters a bad name and serve no legitimate management purpose. Killing contests of wild canids, like coyotes, in particular, threaten long term recovery of gray wolves. Gray wolves are protected under the Endangered Species Act and that misidentification of these wolves is a substantial cause of wolf poaching. In Northern Wisconsin contests, hounds are used to pursue and frequently kill and maim the target species. The use of hunting hounds in killing contests leads to unnecessary conflict between wolves and hunting hounds which the public then has to unfairly pay for. In Wisconsin, hunters that use hounds can be compensated up to $2,500. The state has paid out tens-of-thousands of taxpayer dollars to date for preventable and unethical actions. It is time to end these contests once and for all. Honest, ethical sportsmen do not support these killing events and there is no scientific justification for this as a method of wildlife management. Please contact your Wisconsin state representative today and ask that they support legislation to end wildlife killing contests in our state. Well said! Agree totally! Stop this sensless killing! Stop this terrible practice!!! It’s cruel and appalling. 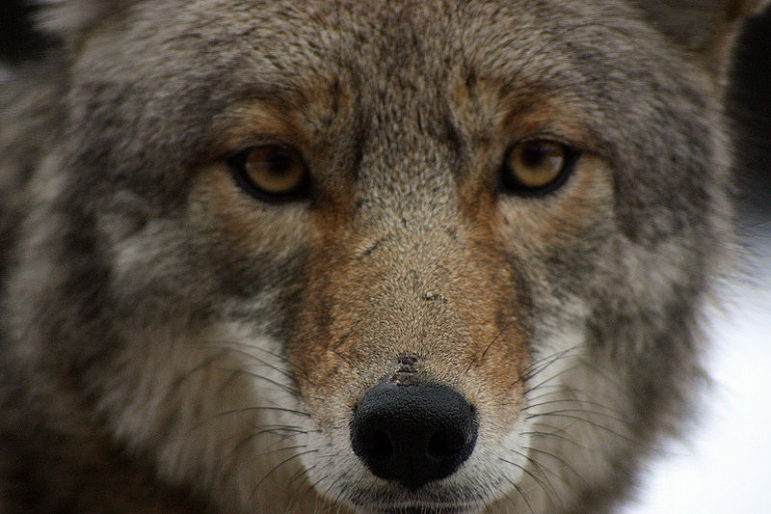 Coyotes and other predators deserve to live too. Don’t fall for the myth that they’re bad. They play a pivotal role in our ecosystem and by killing them you are also playing a part in harming our environment. How horrible to treat precious animals like they are nothing, just targets. Talk about unsportsmanlike conduct! It is time to protect our wildlife. 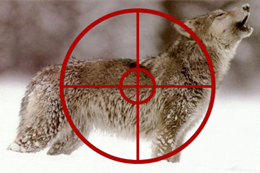 The wolves and coyotes that are being killed are an important part of natures natural balance. The killing contests and the use of dogs and bait to hunt animals is inhumane. It is time to put a stop to it. PLEASE PLEASE PLEASE STOP ALLOWING COYOTES TO BE KILLED !!! ITS JUST PLAIN WRONG AND THEIRS LOTS OF US INCLUDING OUR CHILDREN WHO FEEL THIS WAY ! THEYRE DOING NOTHING WRONG AND DO NOT DESERVE TO BE TREATED LIKE THIS ! I WILL DO EVERYTHING I CAN TO PUT AN END TO THIS AND I KNOW A WHOLE LOT OF OTHERS WHO ALSO WILL NOT STOP DOING EVERYTHING WE CAN TO END THE KILLING OF OUR COYOTES AND WOLVES !!! PLEASE HELP US AND PROTECT THEM ! This is just sickening gratuitous murder while the Wisconsin wildlife becomes more and more endangered. Please stop all the legal killing in Wisconsin. It gives the entire state a bloody horrible name. Please STOP the killing contests! Save the wildlife! Stop the killing of innocent animals. Contest killings are the worst kind. They are evil.